DOWNTOWN is where it all started in Victoria back in the 1840's when Hudson's Bay factor James Douglas commandeered the steamship "The Beaver" into Victoria to set up a trading post on behalf of his company, and to build a warehouse and strong point known as Fort Victoria, bounded by Bastion, Wharf, Broughton, and Government St. 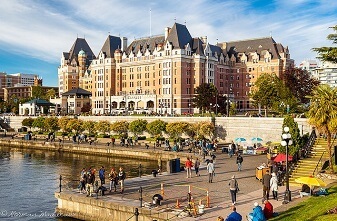 Since then, the Victoria core has been transformed from it's historically industrial base into a tourism mecca and condominium stronghold with many retirees, young families, and singles flocking into the downtown core to enjoy the many tourist amenities, or to opt for a simpler and often car free lifestyle. 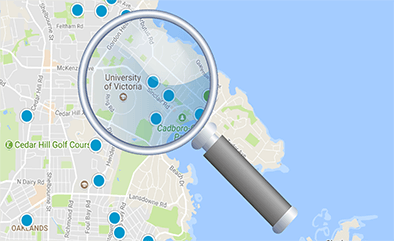 Real Estate prices have been skyrocketing in Victoria in the past few years to historically unprecedent levels, but the current boom is not the only Real Estate bubble that Victoria has seen in it's lifetime. 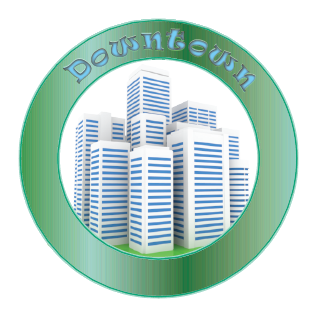 Back in the late 1800's a land boom ensued that would catapult Real Estate prices to previously unprecedented heights that came to a crashing halt in 1912 when British capitalists began quietly to liquidate their investments. Other outside interests followed suit. Lots fell in price only fractionally at first, but then panic set in. Everybody wanted to sell and there were few buyers. Some who held on grimly to their land investments were able only in the 1960's to realize the prices they had paid 50 years previously and those prices with dollars halved in value. The immigrants did not arrive by the tens of thousands as the Realtors had prophesied. Instead of being the "first port on the Pacific," Victoria was overhauled and left behind by Vancouver, Seattle, Portland and San Francisco. 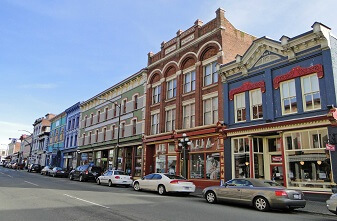 By 1911 Greater Victoria's population was still only 45,699. It had taken 10 years to double itself, an average increase of only 2,000 people a year ... and no justification at all for the phenomenal increases in the asked for price of land. War clouds were on the horizon. Conservatism, retrenchment and uncertainty were in the air. In 1914 the unkempt condition of Douglas Street, with its burned out shells, the Hudson's Bay Department store standing derelict with no windows, were ominous reminders that the good times were coming to an end. Prostitutes were as plentiful as beggars in downtown streets. Even the members of the respected businessmen's clubs fell behind with payment of their dues. Property entries disappeared from books until the entire assets of many companies vanished "like snow in sunshine." By 1917 Victoria's 300 real estate firms of the boom days had declined to 97 and many of these existed in name only. In the circumstances, the outbreak of World War I was a boon to many ... to doctors without patients, lawyers without briefs, brokers without clients, and above all, the war was initially a boon to many married women, especially wives of realtors. Many of these women, for the first time since marriage, began to receive regular monthly cheques. Their husbands were now in the Armed Forces But with some the state of comparative affluence was short-lived. In a regrettably large number of cases army pay became all too soon a widow's pension. Real estate sales, measured by volume, did not begin to boom again until the 1950's.